Chuck Case is the owner and co-founder with his wife, Jennifer, of Case School of Music, where he is the percussion instructor teaching drumset, concert, orchestral, marching, and hand percussion. Chuck studied Music Education at South Dakota State University, and holds bachelors degrees in Human Resource Management and Biblical Studies from Grace University in Omaha, NE, and an associates degree in Music from the Community College of the Air Force. In addition to being a full-time private percussion instructor for 20+ years, Chuck has taught percussion and percussion pedagogy at Dordt College and the University of Sioux Falls. He has taught percussion at Mitchell, Huron, and Tea Area high schools and was the percussion instructor at Canton Middle and High Schools for 14 years, giving private instruction and directing the high school drum line and percussion ensemble. While under Chuck’s instruction, several of his students have been selected to perform in the South Dakota High School All-State Band, Middle School All-State Band, High School All-State Jazz Band, Middle School All-State Jazz Band, All-State Orchestra, and the Iowa All-State Jazz Band, as well as various Sioux Falls high school drum lines and independent drum lines SuFuDu and Groove. Chuck’s students consistently receive superior ratings on snare drum, timpani, and mallet percussion at regional instrumental solo and ensemble contests. Many of Chuck’s students have received music scholarships to schools such as McNally Smith College of Music in St. Paul, MN, Augustana College, SDSU, and have gone on to pursue careers as professional musicians. Having performed music professionally for over 40 years, Chuck has served as a percussionist in the United States Air Force with the Strategic Air Command Band, and Air Combat Command Heartland of America Band, Offutt AFB, NE, 1985-1994. While a member of this organization, Chuck was the drummer and musical director of the popular music group Night Wing, performing for military and civilian audiences around the country. While Chuck was with Night Wing, he played drums on several studio recordings and performed on live national television on The Nashville Network’s show Nashville Now, hosted by famed country music personality Ralph Emery. In 1991, Chuck had the pleasure of being drummer for the late John Denver at a televised concert for over 25,000 people at Rosenblatt Stadium in Omaha, NE. After his Honorable Discharge from from the Air Force, Chuck continued his military service as the percussion section leader with the 147th Army Band (SD Army National Guard) in Mitchell, SD, where he performed with the concert, marching, and rock bands. Chuck was the NCOIC and drummer of the unit’s rock band, SGT ROCK, having recently performed with this group on South Dakota Public Television's "No Cover, No Minimum" which was recorded at Harrisburg High School in July 2013. Chuck retired from the military in 2016 after having served a combined 24 years with the United States Air Force bands and the South Dakota Army National Guard Band. In demand as a first-call drummer in the region, Chuck has performed with the South Dakota Symphony, Mercedes Ellington, The Four Aces, The Four Lads, The Diamonds, Ray Scott, Rude Awakening, Dustin Evans, West Coast Jazz Trio, and numerous other bands and musicians. He currently plays drums with Surfin' Safari and Omaha favorite Jimmy Weber, and plays Latin percussion and drums with local favorite DNR. Chuck is the co-author (with his wife, Jennifer) of “Tasty Morsels”, a locally best-selling drum set solo book, as well as the second book of the series, “Chewy Chunks”. 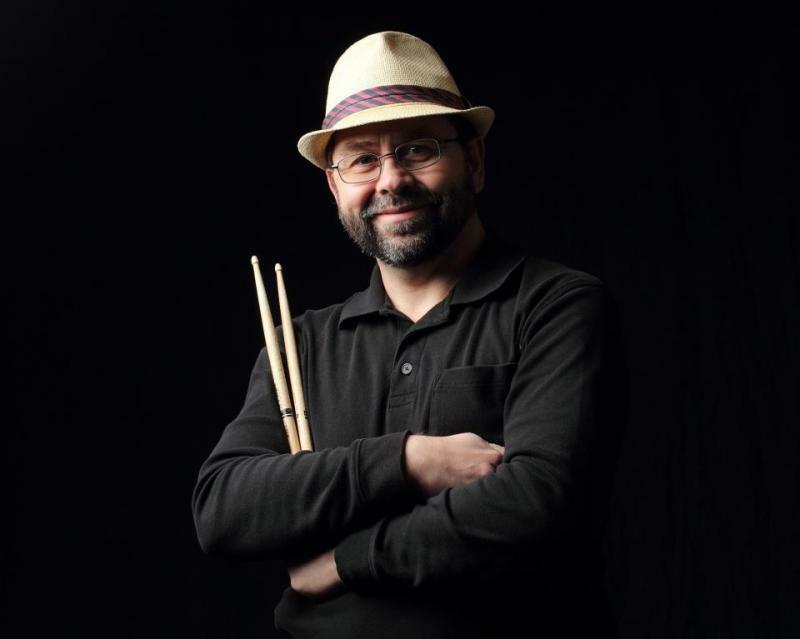 He is an active percussion clinician, serving as the drum set clinician at the 2000 and 2004 South Dakota Day of Percussion events and as a guest musician and adjudicator at the 2010 Palace City Jazz Festival in Mitchell, SD. Chuck is also a member of the Vic Firth education team and the Hudson Music Teacher Integration Program. Chu﻿﻿ck is married to Jennifer and they have one son, Dakota, and one dog, Dudley. "Chuck has an excellent rapport with students and displays a true love for teaching. He is good at giving students attainable goals and looks for innovative methods and materials to keep students motivated. I have noticed improvement in our students who have taken advantage of what Chuck offers them. I would highly recommend Chuck as an instructor for other percussion students." "Chuck has been an extremely valuable resource for us. His knowledge of percussion, his rapport with the students, and his talents are all outstanding. My students have improved immensely in the short while under his tutelage. Chuck has led the students to new levels of performance and understanding of their instrument." "Chuck embodies excellence in his work, enthusiasm and energy in his performance, compassion and sensitivity in dealing with others, and a personal example of integrity that won the admiration and respect of all his colleagues. I would rank him in the top 1% of the personnel that I was responsible for during my career as an Air Force Officer. His great talent combined with his excellent interpersonal skills made him an invaluable member of our staff. He is solid gold!"